LOS ANGELES, Apr. 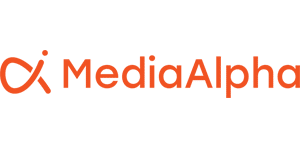 24, 2018 – MediaAlpha, a pioneer in programmatic platforms for native and metasearch media, today announced the findings of Performance Marketing Actually Performs, a study performed by leading industry research firm. MediaAlpha commissioned Forrester Consulting to evaluate the state of performance marketing and how it is being utilized and purchased by marketers. 71 percent of marketers that use performance marketing report their marketing programs as being either extremely successful or successful in achieving desired results, compared to 47 percent of those that don’t. 41 percent of firms that actively use performance marketing said it was either extremely easy or easy to link their performance spend to business benefits, and 59 percent said that link to business value was either critical or important to their business. 30 percent of firms said they weren’t aware that buying performance marketing programmatically was possible. 27 percent of firms said they don’t understand the benefits of buying performance marketing programmatically. 21 percent of firms said they don’t know enough about how performance marketing channels work to pursue a programmatic approach. 64 percent of firms said they want to ensure they have full transparency into the sources they would be working with when buying performance marketing. 63 percent of firms said it was either very important or critical that they be able to monitor and optimize campaigns themselves, rather than relying on an ad network to do it for them. Performance Marketing Actually Performs, a March 2018 commissioned study conducted by Forrester Consulting on behalf of MediaAlpha.